Bullying means repeated, deliberate physical, verbal, or social attacks or intimidation directed toward another person. There is a marked imbalance of power between the bully and the victim. Bullying may be done by one individual or a group. Cyberbullying is bullying that takes place using electronic technology. Bullying is a serious problem that parents need to acknowledge and address. Physical bullying includes punching, poking, hair pulling, beating, biting, and strangling. Verbal bullying includes name calling, teasing, and gossiping. Emotional bullying includes rejecting, terrorizing, extorting, blackmailing, isolating, and defaming. Sexual bullying includes sexual propositioning or sexual harassment. Likely bullying victims are those who look different, act different, or select activities that are not mainstream. Victims do not intentionally provoke bullying. It can be committed by one or more children against another. Bullying not only harms the victim but also negatively affects the climate of the school and the opportunity for all students to learn and achieve. Kentucky's House Bill 91, often referred to as the "Bullying Bill" (now codified as KRS 158.156), was passed during the 2008 legislative session. The law requires school districts to have plans, policies, and procedures to deal with measures for assisting students who are engaged in disruptive and disorderly behavior. What are the signs of my child being bullied? What are the signs that my child may be a bully? Foster your child’s confidence, and assure him or her that he or she is not to blame for the bullying. Be willing to take action when needed. Find out what the bullying plan is at your child’s school; work collaboratively with school personnel to address the problem. Offer support to your child, but don’t encourage dependence on you. Don’t encourage aggressive behavior; instruct your child not to bully back. Help your child develop new friendships. Stay involved, and be supportive of your child's school and extracurricular activities. Stay informed about what your child is doing and with whom he or she is socializing. Eliminate toys, games, and TV shows that reward aggression. Encourage your child to be slow in taking offense. Make sure your child knows what other children expect. Help your child see other points of view. Teach your child the difference between tattling and telling. The purpose of tattling is to get someone in trouble; the purpose of telling is to help someone stay safe. Teach your child not to laugh at or join in bullying. Tell your child to join with other bystanders and “stand up together” to convince the bully to back down. Help your child learn how to help the victim walk away. Assure your child that he or she can tell a trusted adult in the school. Stop Bullying is a website managed by the U.S. Department of Health and Human Services. The Anti-Bullying Network provides free support to schools and families. The Kentucky Center for School Safety is a state agency that provides funding to each school district in the Commonwealth for educating families about safe schools. 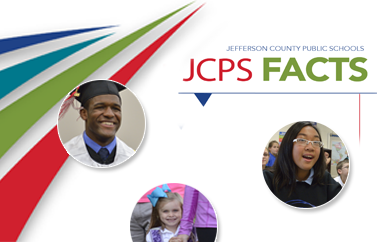 The JCPS Bullying Prevention LibGuide provides information on high-quality bullying prevention and intervention materials customized to meet the needs of individual students. Resources were selected based on their potential to help empower the target, mobilize the bystander, and rehabilitate the bully.